Vegetables are my favorite food. Since I am time challenged, I usually steam or oven roast them. For small amounts, I occasionally use the microwave. If I could cook vegetables in a pressure cooker, I would be really happy. Unfortunately, with the pressure cooker, they can be easily over cooked. So, over the holiday, I felt like I wanted to make the vegetables with a little more pizazz. Pan roasting the cauliflower was more flavorful and something a little different. It was fast and easy and only required one pan to clean. Spray oil the pan and add the cauliflower, garlic, salt and pepper. Begin cooking with a medium to high heat. Then, add a small amount of water, lower the temperature and cover until cauliflower is slightly soft. Raise the temperature and cook until desired texture and slightly browned. I was surprised when everyone said how much they liked them. Something new to add to my repertoire. 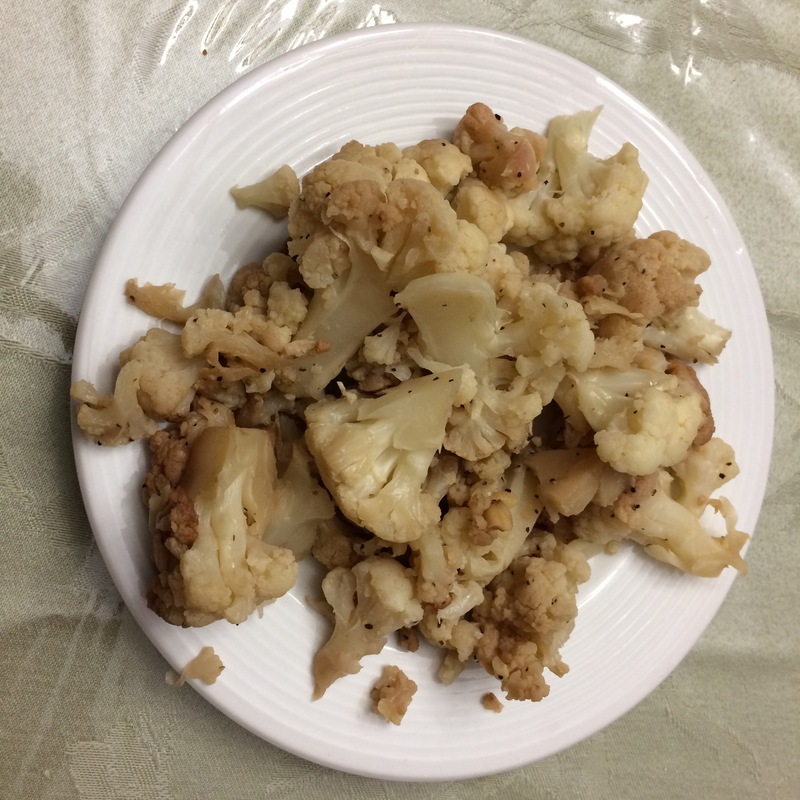 yumm I love cauliflower and garlic! sounds great! Sounds like a beautiful opportunity.♨️ happy cooking. Yes. Simple, easy and maximum taste with minimal fuss.